Dot is unapologetically real. She loves real people, and enjoys learning about people’s unique stories. She didn’t choose real estate to get rich; she chose it because she loves helping people achieve their goals and find their perfect living situation. Her approach is to listen closely and understand where people are in life, and where they want to go. Her goal is to make them happy and make the process of getting there as stress free as possible. She enjoys applying all her knowledge, both formal education and her broad and varied life experience, to change people’s lives for the better. Her love of people is evident. “She’s compassionate. She’s the kind of girl you want to hang out with after she sells your house.” She firmly believes in self reliance and independence and finds joy in helping folks achieve it. Dot is the kindest, most patient realtor. Our move was a bit emotional, and she was there to listen every step of the way. She was super supportive of our preferences and quirks, and we found a house we love. She was even great with my kids. I’d recommend her in a heartbeat. Thank you, Dot. “Dot rocks” is truly an understatement. After months of independent searching in a brutal housing market, we thought we’d never find our dream home in Austin. Then all of a sudden, we met Dot. She helped a close friend of mine find a rental home and later a permanent home for her. Dot not only found the perfect home for us, but she also advised us with kindness, honesty, knowledge, professionalism and PATIENCE. We were quite picky… When we first met, she told us that she’s here for us to absorb our stress by guiding us through the process of buying our home. She certainly kept her promise because we’ve learned that there’s allot more to buying a house than simply signing checks… We’ve been living in our new home in South East Austin for 4 months now and for the first time in over a year living in Austin, I truly feel like I’m at home. We even bug her from time to time to ask her basic home owner questions. She’s still always willing to guide us. We couldn’t recommend her enough. Dot was amazing to work with. This was my 3rd time around selling/buying a home, and she was definitely the best realtor I have worked with. 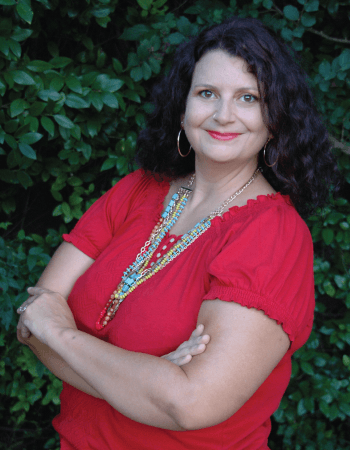 She is super knowledgeable about Austin and the surrounding areas. Dot went above and beyond to make sure all our needs were met, and that all of our questions were answered. It was obvious that she actually cared about what we wanted and not just about the sale. If we were looking at house and anything didn’t set well with her, weather it was the neighborhood itself, the school district, the fact that the roof hadn’t been changed since it was built in the 80’s, any issues at all, she would let us know immediately. She was definitely a great voice of reasoning when we were in between two properties. Dot never wasted our time by suggesting to see something that wasn’t in our price range, or out of the area we wanted, or didn’t meet our wish list. When it came to selling our house she was there every step of the way and did a great job promoting it. She understood and frustrations I was having and didn’t take any of it personal. I would definitely recommend Dot to help you find your new home or sell your current one. Dot has it going on! She is a genuine and quirky soul! She will go above and beyond and has your best interest at heart. You really can’t find a better person to help you find, buy, sell or lease your home!! I recommend Dot to everyone I can!! Keep up the amazing work in the New Year!! Dot was exceptional and professional. Specifically, Dot shares the strengths of your home as well as options to improve the weaker points to increase the selling price. 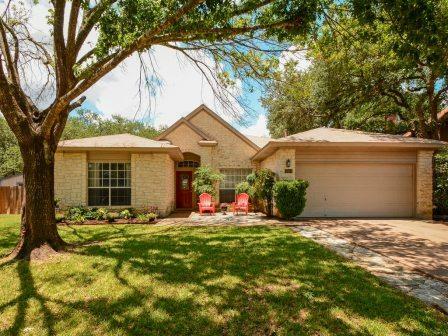 Dot has a pulse on the Austin housing market, especially South Austin and can recommend dependable resources for home repairs and improvements. Dot’s integrity and expertise combined with her personable manner make her the best choice for guiding and advising you from start to finish in selling your home. Dot is the real deal. She makes all of your home dreams come true and is there at all times for guidance and reassurance. After we closed she even went and took down a wasp’s nest at our new home for us. Who does that?! Dot does, cause she rocks. Dot is a rockstar! Professional, personal, courteous, on top of everything, and a warm-hearted soul. I cannot imagine going through the house-buying process with anyone else. She worked to ensure we were getting the home of our dreams. Thanks, Dot! 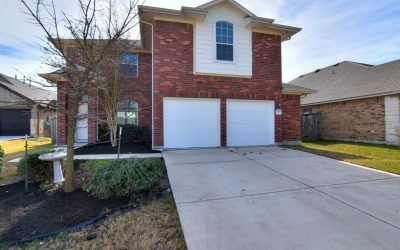 – Stephanie & Ashley C.
Dot made finding a rental house in Buda super easy. She eased my nerves about trying to do things myself with Zillow or other apps. She is connected to what is actually available and works for my wishlist. Thanks Dot!!! Dot Really Does Rock Austin!! When it was high time to stop renting, we went to Dot to help us find a home to own! Dot listened carefully to our needs and wishes for all the features of our new home. She whittled down a list of homes that would match our criteria, to make the search easy. In Austin’s whirlwind market, we had to move quickly, and Dot kept us right on pace each time we put down an offer. Within a month of house hunting, one of our offers was accepted, and we were fast-paced moved along toward home ownership. Dot answered all of our questions, and made sure we got all of the paperwork, inspections, etc. in place on time to get us into our new 3-bedroom home. I am so happy we chose Dot, because it made the home buying process easy! If we need to purchase another home in the future, she is the first person we will call! Thank you, Dot! Dot truly does rock! We were new to the Austin area, let along Texas, and our first meeting with Dot couldn’t have gone better. Her knowledge of the area was present from the first moment, she knew of a nice hip coffee house around the corner from where we originally met. At Strange Brew coffee house, we sat down over beverages to get the wants/needs list to help her find that dream home for us. With the laundry list of needs in hand combined with budgetary constraints, her dedication to helping and seeing things through is second to none, even when it wasn’t easy or convenient. We say this because we probably saw a baker’s dozen, or more, homes throughout the Austin area and farther away. Even when we did decide on a home, we ultimately back out of that house towards the end of the process because we just knew it wasn’t the right house for us after additional time to think about it. Nonetheless, her ability to accommodate and move forward to find the house that was right for us, some months later, assures others of an enjoyable and successful relationship with her in the future. Eventually, we got our house within our budget and it met the majority of our laundry list of needs! Dot even delivered Nando’s Cookies at closing. The service she provides exceeded all expectations. Thanks Dot for making us feel welcome, and find us a home; you truly do rock! Dot is calm and reassuring, helping navigate the ups-and-downs of buying a house in a difficult market. She’s detail oriented, knowledgeable about Austin neighborhoods, and an excellent negotiator. She really advocated for us to get the best home at the right price. And – Dot has great connections for all of your needs surrounding a purchase or sale (inspectors, roofing, yard work, general handyman, etc). We would love to work with her again, and would whole-heartedly recommend Dot to anyone looking for a home in Austin. All it started when our apartment complex got really bad. I posted on one of my moms FB groups my complaint and Dot reached out and started working with us about 6 months prior to our purchase of our dream home. She was the best resource we found. She met with us even before we were ready or able to buy new home. She worked with us to get to everything in line when we could of buy and answered all of our questions. Once we were ready she worked quick and was amazing resource in everything. I cannot tell you how home buying was easy just because we worked with Dot. She really did take care of everything for us, but her work didn’t end by signing paperwork to own our home. She is still great help and resource to us. We wouldn’t go different route or with different agent. We recommend her highly, she makes you feel like family and not just customer! After we made the difficult decision to sell our South Austin home, that’s when the real work began. Home renovations, updates, painting the interior and the exterior, Dot was there to offer advice and suggestions throughout the entire process. She even helped us with the landscaping during a torrential down-pour. Ask yourself, do you know of any other Realtor who would ever do that?? After we got the house looking tip-top, she hired an awesome home stager who gave us a written synopsis which we followed to the letter. She also hired a talented professional photographer who photographed our home. Professional photos are essential in the selling process. 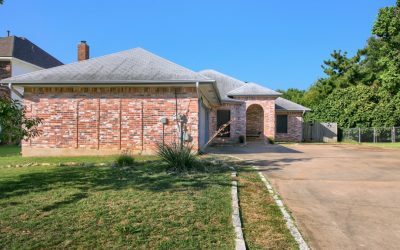 I have seen cruddy listing photos before and it always makes me wonder what kind of half rate Realtor would post such awful photos. Dot does not do anything half-hearted, in fact she goes ABOVE & BEYOND all expectations. Selling (or buying) a house can be stressful to say the least. Dot should be a psychologist or therapist because she always knows what to do or say to help relieve the stress and let you know that everything is going to be fine. She does her homework and knows her numbers backwards and forwards. I truly believe that because of Dot’s knowledge and mad skills, we were able to sell our home within 24 hours…and we had three offers all over list price!!! If you want to make buying or selling your home as successful and stress free as possible, go with Dot! SHE ROCKS!!! I worked with Dot to find tenants for my house. It was my first time being a landlord, and Dot was highly instrumental in making sure I did not miss any details on both, the search AND the leasing contract that she provided on my behalf. Dot held my hand through the entire process, and it did not take long to find a match for my house thanks to Dot. I recommend Dot to anybody who is looking for a professional and responsive realtor to have their back as they buy, sell, or rent a home in the Austin area. I put my house on the market last summer. I was wanting to sell to get out of Austin. It took a little longer than we thought it would to sell, but we got it sold. Dot was there to help me thru it all. She listened to me complain and offered suggestions on how to make things better and was completely instrumental in the sell. She even came over and helped me paint my living room. Not just any agent would do that. She comes highly recommended! Use Dot Rocks!!! We just signed a lease to the PERFECT house in the PERFECT neighborhood. Dot was so very helpful and accommodating. She never made us feel like we were a hassle or never seemed frustrated when we wanted to continue searching. She is VERY organized and works hard for you to get the place you want. She got our application fee reduced and was always negotiating on our behalf. When we are ready to buy, we know who we are going to call! We were first time home renters and have only had apartments before this. MY GOODNESS if Dot wouldn’t have been there we would have lost, our lease would have ended and we’d have been homeless. She found the perfect, our friends have gone on and on about how much they like the house. Dot made the whole process so simple and easy. When we move again we’ll use Dot again. My roommate I had two weeks to find a new place to call home. I found Dot through a Google search and the same day I contacted her she showed us a place we were interested in. During the time we worked with Dot she proved to be very dedicated to her clients. She’s knowledgeable, organized, flexible, and she really listens to what you want and finds it for you. She made the whole experience fast and most importantly stress-free. I couldn’t be happier with her services and I would recommend her to anyone looking for a new home. I have worked with realtors before and I’ve NEVER had any luck. I feel like they are there for the money and try to push you on something you don’t want. She takes the time and consideration to meet your needs, even when it’s hard to please! If you are looking for a laid back yet very personable- professional realtor, she’s your gal! When she does find the right fit for you she doesn’t just drop you and collect her check. She personally looked over my new lease and pointed out things that needed to be changed. Thank you!! Finally I found someone on my side. I am excited after 15 yrs. moving around Austin I have a go to. Do yourself a favor..Go with Dot Rocks!!! Dot Aikman went above and BEYOND to help my boyfriend and I buy our first house! She listened to what we were looking for, provided resources for us to narrow down our search, and walked us through the process from start to finish. She definitely knows the ins and outs in order act quickly and get things done! I don’t know what everyone else gripes about when it comes to real estate! Dot makes it easy and our new house is PERFECT! Dot Aikman is a real pro at finding you the right rental property. I just used Dot for the second time to find a rental for me. Dot is great to work with, professional, and very helpful in finding you the right property for the right price. She really listens to your needs and handles everything perfectly. I would recommend her to all. Just got a house from Dot. She was great, always giving us ideas and knew exactly what we were looking for. I would definitely recommend her for all of my friends. Dot was extremely helpful through our purchase. She came over immediately after we contacted her regarding our landlords selling our house. She always makes herself available to answer any questions. A great agent for first time home buyers. DOT ROCKS FOR REAL!!! I was in a pinch to find a place and she was so helpful working on and off the clock dedicated to finding a place! She was my saving grace and I highly recommend her! Great worker with a great personality and truly cares about her clients! Dot did a great job helping my girlfriend and I find a house. She was extremely easy to work with and handled interaction with various property management companies/ landlords so that we didn’t have to. She even went above and beyond to insure that the property management company took care of things around the house prior to or directly after move it! If you’re looking for a house in the Austin area, I absolutely recommend working with her. I am so thankful that we chose to work with Dot. We were very intimidated by the home-buying process. 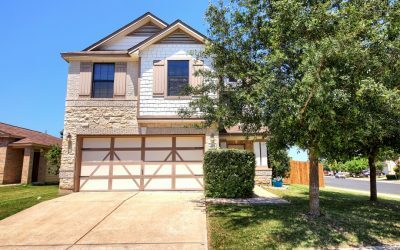 After years in Austin apartments, watching our rent go up and housing prices rise, we were not even sure it would be possible to find something affordable in a seller’s market with low inventory. Dot is not at all intimidated by the Austin market. She knows what she’s doing and she does it well. With her help, home-buying was so much easier and more fun than we’d expected. She stayed within our budget and the first offer we put in was accepted. Dot guided us expertly through the inspection and all the steps to closing. She has kids, gave great advice on kid-friendly homes, and was happy to have me baby-wear during the walk throughs. She answered all our questions, explained the many steps of the process, and responded to texts and emails at lightning speed. She made us feel at ease. Dot rocks! Open floor plan with 9′ ceilings, spacious kitchen with center island and abundant cabinets. Large living room with wet bar. Dining features a bay window and lots of light. Greenbelt. Side entry garage with extra large drive. 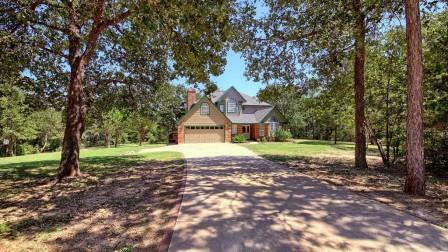 Nestled in the piney woods of Bastrop, this 4 sided brick home sits on 1.5 acres with a large wrap-around deck. The 4 Bed/2.5 Bath layout with 2 Living and 2 Dining areas on such a lot is a rare find in Tahitian Village. Enjoy peace-of-mind by owning and having control of 5 adjacent and surrounding lots to your home! Shhhh…can you hear nature calling? Single story home with an open floor plan on a 0.223 acre cul-de-sac lot in the Villages at Western Oaks. Kitchen has granite counter tops, a gas range and the fridge conveys. The HVAC was very recently replaced. Backyard is just waiting for a garden, firepit or a pool.